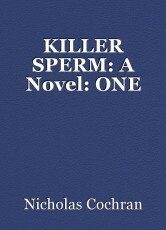 The Harry Hope Fertility Clinic is besieged by throngs who believe that a certain super-donor has retired.The impossibility of every fact connected to this belief, as well as stunning and dangerous additional surprises, are outlined and followed to a staggering conclusion. An angry throng believes that ' a 713' is no longer donating. The fill-in Director must sort out their mystifying conclusion.